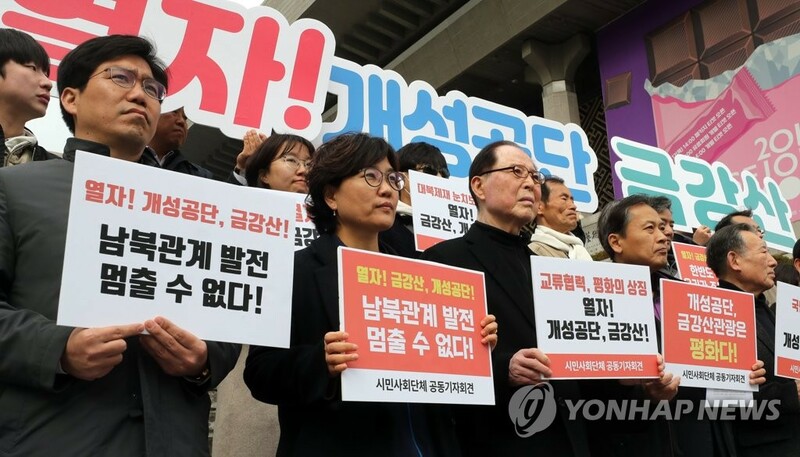 SEOUL, March 22 (Yonhap) -- South Korea on Friday withheld its approval of a request by a group of businesspeople to visit a shuttered industrial complex in the North's border town of Kaesong. Earlier this month, 179 people asked for government permission to visit the factory park to check equipment and facilities they left behind when the complex was closed in 2016 amid nuclear and missile tensions. It was their eighth attempt to visit there since the closure. "We have withheld approval in the past. Situations have not changed much since then," ministry spokesperson Baik Tae-hyun told a regular press briefing. A task force representing the companies expressed "disappointment and deep regret" at the decision. "We strongly urge the government to put all-out efforts so that we can promptly check our factories," the task force said in a statement. Opened in 2004, the Kaesong complex was hailed as a successful cross-border economic cooperation project as it combined South Korea's capital with North Korea's cheap labor. Its operation was abruptly halted by the conservative government of then President Park Geun-hye in retaliation for the North's nuclear and missile provocation. Businesspeople operating plants there were ordered to leave on short notice.